4 mounted knights. Supplied with appropriate weapons and a plastic base for all figures. Figures may vary from those illustrated. 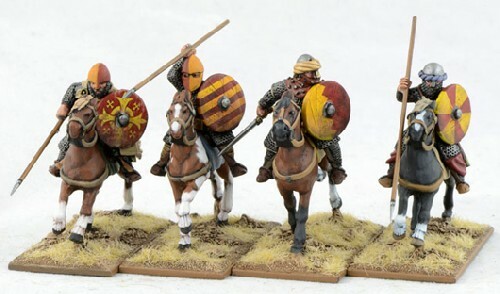 These are variants of the Crusader knights but with Large Round shields attached.